one of the greatest perks of blogging has been the wonderful connections + friends i’ve made, both near + far. during my nearly 16 months of blogging, i’ve been privileged to follow friends-i-made-online through book deals, promotions, engagements, marriages, pregnancies, + more. i was beyond excited last year when food blogger friend brooke announced that she + her husband were expecting not one, but two little ones – that’s right, twins! so, when our mutual friend caroline suggested that a bunch of us throw a surprise virtual baby shower for brooke, i was in! just like a real baby shower, we decided who would bring what, + rather than choosing an actual location/time to have a party (since we’re all in different parts of the country), we choose a place (our blogs) + time (now!) to post our virtual baby shower creations. so what did i bring to the party? 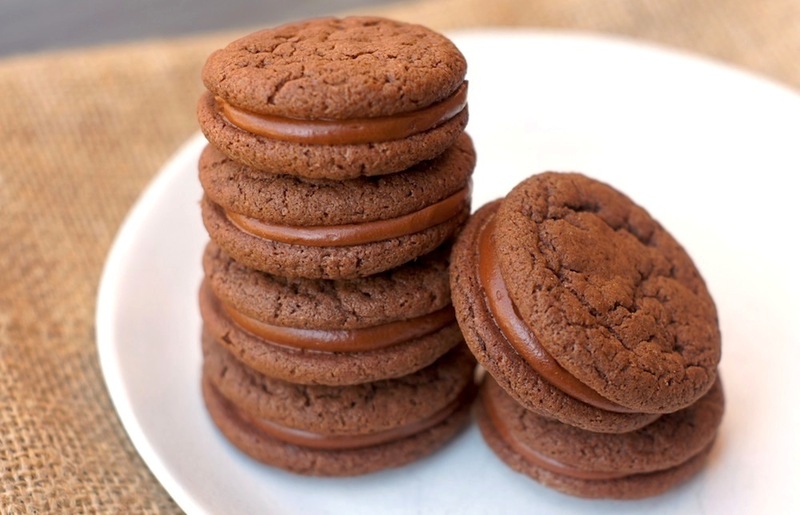 i bookmarked these delicious-sounding malted chocolate sandwich cookies a while back, waiting for the perfect excuse to give them a try + knew that the time was now! and the result? amazing. seriously, these might be the best cookies i’ve made – everyone who tried ’em gave rave reviews! the cookies are rich, flavorful, + wonderfully soft (which i love – no crispy cookies for me, please! ), + the malted chocolate buttercream in between? absolute perfection. + the best news of all? brooke’s baby boys decided to arrive a bit early, not unusual for twins, + were born on march 5! big congrats to brooke + her husband on their two new bundles of joy! so, what did everyone else make for the virtual baby shower? scan down for pics + links to everyone’s creations, as well as the full recipe for my malted chocolate sandwich cookies! make cookies: sift together flour, cocoa powder, malted milk powder, baking soda, + salt. with an electric mixer, beat butter + sugar on medium-high speed until pale + fluffy. mix in egg, vanilla, creme fraiche or sour cream, + hot water. reduce speed to low; mix in flour mixture. space tablespoon-size balls of dough 3 1/2 inches apart on parchment paper-lined baking sheets. bake until flat + just firm, 10 to 12 minutes. let cool on parchment on wire racks. make filling: melt chocolate + butter in a heatproof bowl set over a pan of simmering water, stirring. let cool. with an electric mixer, beat malted milk powder + cream cheese on medium speed until smooth. gradually mix in half-and-half, chocolate mixture, + vanilla. refrigerate, covered, until thick, about 30 minutes. mix on high speed until fluffy, about 3 minutes. assemble cookies: spread a heaping tablespoon filling on the bottom of one cookie. sandwich with another cookie. repeat until all cookie sandwiches are made. Congratulations to Brooke! These cookies look just wonderful. these are awesome amy! I love malt flavor, especially in chocolate cookies. love it! I hope Brooke (and the babies) enjoy! Yum! Everything looks so delicious! I would like one of everything, please. YUMMMY! We’re on a sandwich cookie run in the house! Can’t wait to try these. I haven’t seen anything like them! I love the cookies and the picture! It just looks so perfect. Like it belongs in a magazine somewhere. We don’t have malted milk powder here (like a million other things) but these look so so good. thank you so much, erin! when i first read your comment, i thought ‘surely they have malted milk powder in texas!’ … then i remembered that you’re in germany now. =) if you want me to mail you some from Nashville, just let me know – our local grocery carries it for a mere $3, so i’ll gladly mail you some if you want it! Yeah, it’s a baking wasteland here. Thank you so much for offering! That’s really sweet but shipping is really expensive and that $3 malted milk powder would turn into $17 or something ridiculous. I hope we’ll be able to move to the US in a few years, and when that happens, I will have a baking extravaganza. These are gorgeous cookies. I’m with you, I can totally do without crunchy cookies, so these are right up my alley. And with malted chocolate buttercream!?!? Yes, please! What a fun baby shower idea! Congrats to the new mama! What a lovely contribution of goodies for Brooke’s baby shower. These cookies look fabulous, Amy! Totally droolworthy and worthy of a fabulous celebration! Thanks for sharing. It all looks wonderful, but those malted cookies look amazing! I love malt chocolate candy. I can’t imagine how yummy that flavor would taste in a cookie…YUM! i’m the same – i love malted milk balls/malted chocolate, too + had never tried a malted chocolate baked treat until i made these – i absolutely loved them! if you like malted chocolate candy, i think you’ll love ’em, too! No crispy cookies for this girl either! These little cookie-wiches sound wonderfully chocolaty and delicious!! Thank you sooo much the virtual shower! You girls are so sweet!! It’s been an absolute pleasure getting to know you thru the blog world (and all your yummy food)!! you are so, so welcome, brooke! congratulations again on the arrival of your two little boys – we’re all so excited for you + your family! Oh those cookies are a dream! I am definitely making them!! What a great shower, these cookies look perfect! Love malted chocolate, and the chocolate center sounds delicious! What a fun idea! Your cookies look great. Whoa! I didn’t realize she had the babies! Yippee! And thanks for sharing these cookies with us, they were great!!! yep, they arrived early, at 33 weeks, + brooke says they’re both doing great. =) you’re so welcome, by the way – thanks for helping us eat the cookies! All I need is three of these and a glass of milk. Ok, fine. Five. Maybe the whole batch. Those cookies look so soft & chewy – my favorite kind! I haven’t tried baking with malted milk powder yet but it sounds yummy. Reminds me of the old-fashioned malt milkshakes my Dad used to make us! And I bookmarked those cuban sliders last night – gracious, they look delicious. Thanks so much for sharing all of the recipes, Amy. Congrats & many blessings to Brooke & her family! What a cute idea…a virtual baby shower! And these cookies look absolutely divine…i love soft, chewy cookies too. heck…I basically love ALL cookies! 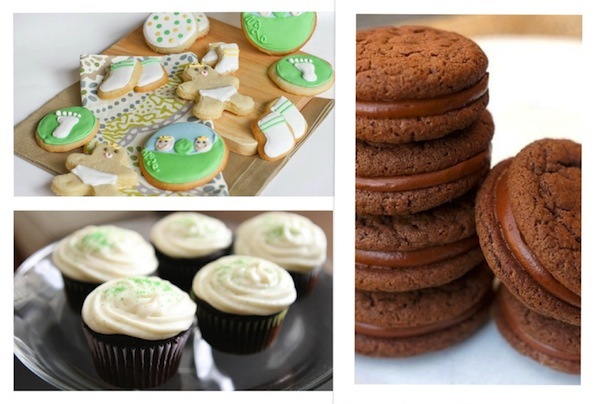 I’m having fun crashing your virtual baby shower These cookies look amazing! Pinning and hope to make soon! I just saw Julie’s cupcakes and I had to check out your beautiful malted chocolate cookies. I’m such a huge fan of sandwich cookies because you get TWO cookies WITH A FROSTING versus one measly cookie, so I am particularly excited to make this. Plus, I’ve never made anything with malted milk powder so this will be quite an experience for me. What an adorable idea! These look amazing! 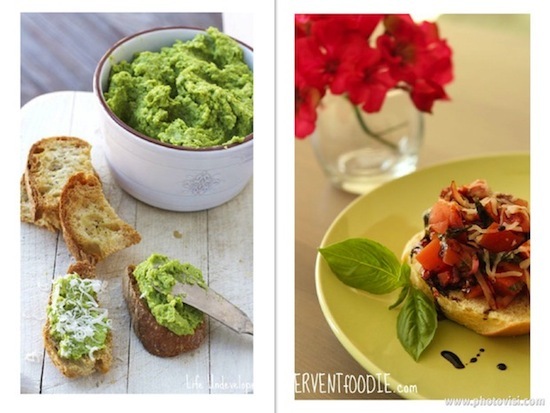 I’m going to have a lot of recipes to make from your blog once lent is over! (I gave up sugar and its down right miserable). Somehow I can believe that these might be the best cookies you’ve made. they really sound phenomenal Amy! Oh my gosh Amy….my dad would have loved those cookies. I remember him eating malted milk balls when I was growing up. Now I have a go-to recipe when I hear someone loves malted chocolate. Amy this is such a cute (aka, AMAZING) idea! And your execution of the cookies looks incredible. I really do think baking cookies is one of your strengths! You better bet I’ve bookmarked this post! I can’t get over how cute of an idea this is. Now that is a cookie!!! 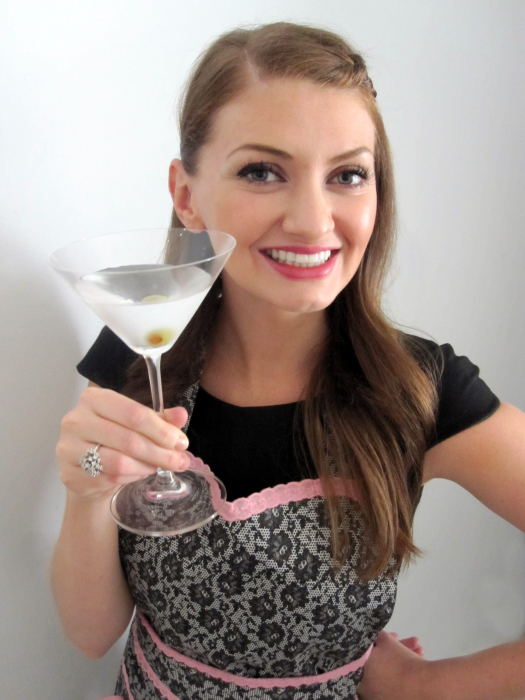 I love all things malt so they are speaking to me rather loudly:-) Such a fun idea to do a virtual baby shower! Everything looks great!!! these are gorgeous Amy! What a beautiful virtual shower all around Love malt! I am so intrigued by malted milk powder. Do you use it in anything but desserts? I’m bookmarking this recipe to make later! hey Jamie! this is the only recipe i’ve used it for, but since i have a good amount leftover, i am going to experiment with using it in some other dishes – mostly desserts, i imagine. it adds a wonderful flavor, so i can’t wait to try it in other things! These look and sound incredible! I can’t wait to try them! These cookies are seriously calling my name, and Caroline’s cookies are pretty darn cute. Actually, all theses dishes are making me hungry. What a fun shower! Oh, I’m so glad I found your blog through the Secret Recipe Club … as much as I love peanut butter + chocolate, I may love malt + chocolate even more! These cookies are gorgeous and sound incredibly delicious too … they are definitely going on my “to make ” list ASAP!